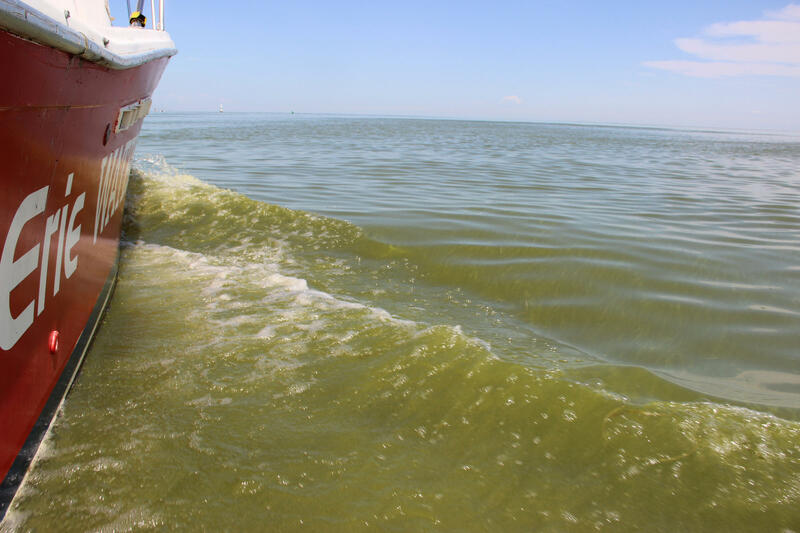 The impaired designation is part of Ohio's annual report to the U.S. Environmental Quality about the state of its waters. It will not by itself bring more federal dollars into the state, says Hesse. So she says it's important for Ohio to take specific actions, monitor the effect of those actions, and have a contingency plan in case the actions aren't working. "We need to accelerate land management practices that reduce nutrient pollution into Lake Erie," she says. Fertilizer and manure flows into the lake from nearby farms, and encourages harmful algae and bacteria to grow. In recent years, the level of dissolved phosphorus has actually been increasing, despite programs to help farmers keep fertilizer from running off into nearby streams. A massive plume of harmful bacteria temporarily shut down Toledo's water supply in 2014. There have been large blooms of cyanobacteria in the years since, but the blooms did not surround the water intake for the city as happened in 2014.